With Easter right around the corner, let's remember ‪#‎NoLiliesForKitties‬!!! 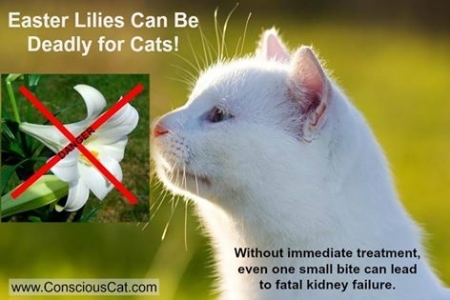 Lilies, along with many other plants are very toxic for cats and dogs. >> http://jgalaxy.us/1Rktp3n << Be careful, ‪#‎TeamCatMojo‬ - and share the message with your friends!